> Pressbooks>ENTITY Japanese program '82 so threatening, it will frighten you beyond all imagination! ENTITY Japanese program '82 so threatening, it will frighten you beyond all imagination! An Original Vintage Japanese Film Program (measures 8 1/4" x 11 3/4"; 24 pages) Condition: Very Good (C6) See our 10 GRADE SYSTEM Page for more information. 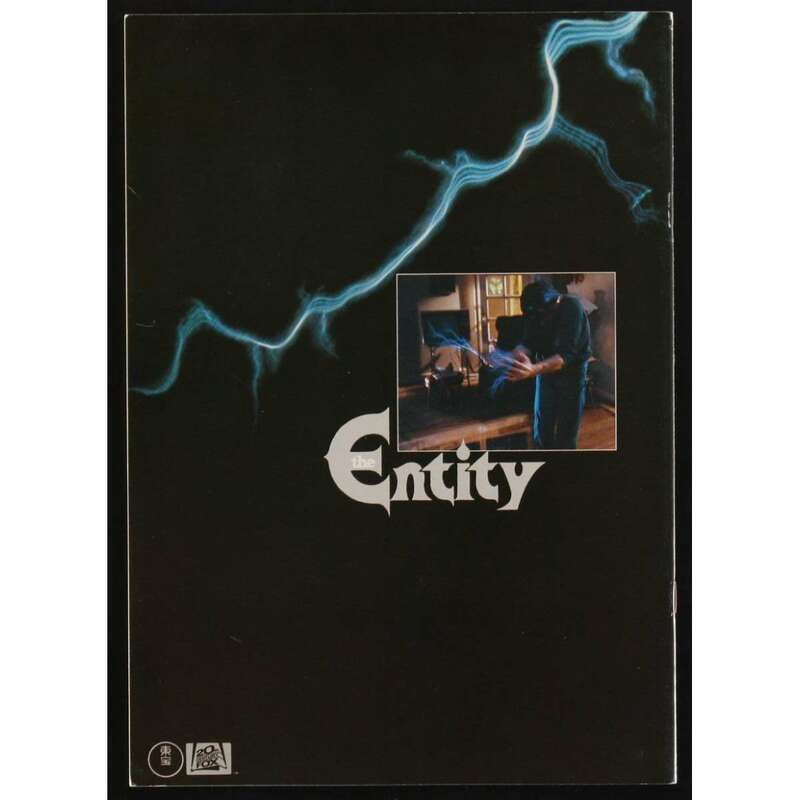 The Entity is a 1982 american horror film directed by Sidney J. Furie﻿, and starring Barbara Hershey as a woman tormented by an unseen entity. ﻿Film director Martin Scorsese placed The Entity on his list of the 11 scariest horror films of all time.